WITH HOLIDAYS JUST AROUND THE CORNER, ITS TIME TO START PLANNING! Questions like, whose house are we hosting Thanksgiving dinner at? What’s on the menu? How many people can we squeeze around our dining room table? all start to get a little overwhelming. And we get it – holiday parties can be extremely stressful for the person hosting them. However, sometimes it isn’t the fancy cheese board or table setting that makes for great holiday memories. Sometimes, it’s the moments where all your guests seem to gather in the kitchen and tell stories with one another that make the best memories, and ultimately make your house feel like a home. You might be asking yourself, “Why the kitchen?” And while there is no real science behind people gravitating towards this one particular room in the house, it seems to be a central theme that has gone on for decades. Everyone starts and ends their day in the kitchen. It is a place that everyone is familiar and comfortable with, no matter how one’s home’s layout might differ from others. Also, your guests probably want to include you in their activities and not leave you alone to simply serve them when the food is ready. When you factor all this in, it’s likely your kitchen will be the cornerstone of your next holiday get-together. So how do you prepare for company coming into your home and crowding your kitchen? Simple things like adding holiday decorations do wonders for making it feel like the coziest place in your house. 1. In a mixing bowl whisk together flour, cornstarch and salt, set aside. 2. In the bowl of an electric stand mixer cream fitted with the paddle attachment cream together butter and powdered sugar until combined. 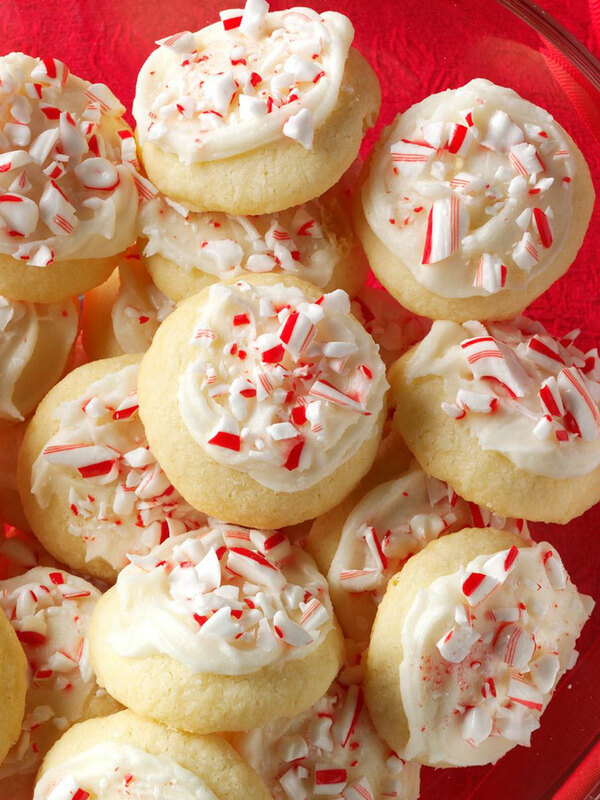 Mix in peppermint extract then with mixer set on low speed slowly add in flour mixture and mix just until combined. Cover bowl with plastic wrap and chill until nearly firm, about 1 hour, while preheating oven to 350 degrees during last 10 minutes of chilling. 3. Scoop dough out 1 even tablespoon at a time, shape into a ball then transfer to an ungreased 18 by 13-inch baking sheet, spacing cookies 2-inches apart (keep dough that’s wont be baking chilled). Bake in preheated oven until cookies are set and bottoms are lightly golden brown, about 10 – 13 minutes. Let cool on baking sheet several minutes then transfer to a wire rack to cool completely.